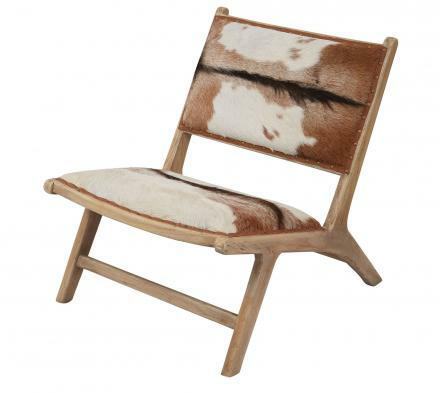 This goatskin chair is what happens when a modern design meets organic materials. 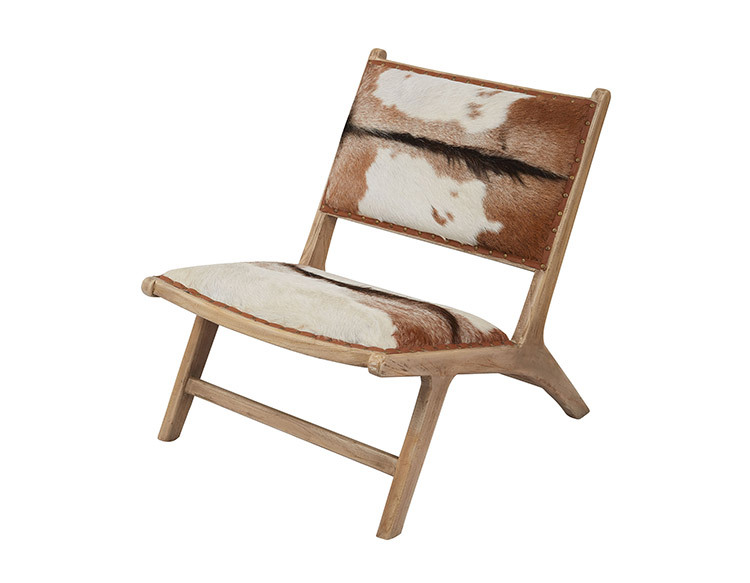 Made from actual goatskin with the hair still on the leather, the chic chair comes paired with a goatskin ottoman with the same modern design. A perfect addition to any modern home design, the goatskin leather lounger chair and ottoman set are sure to be the focal point and main attraction of any room it's placed into. 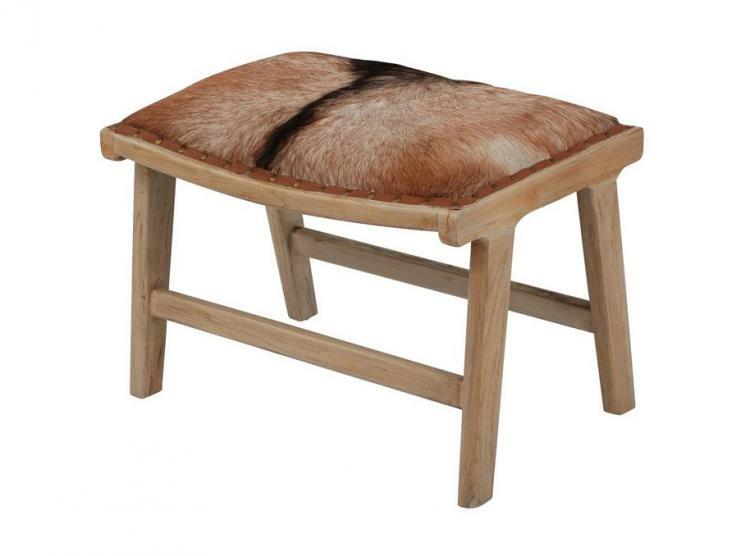 In addition to the beautiful design the goatskin chair is amazingly comfortable and extremely well made. 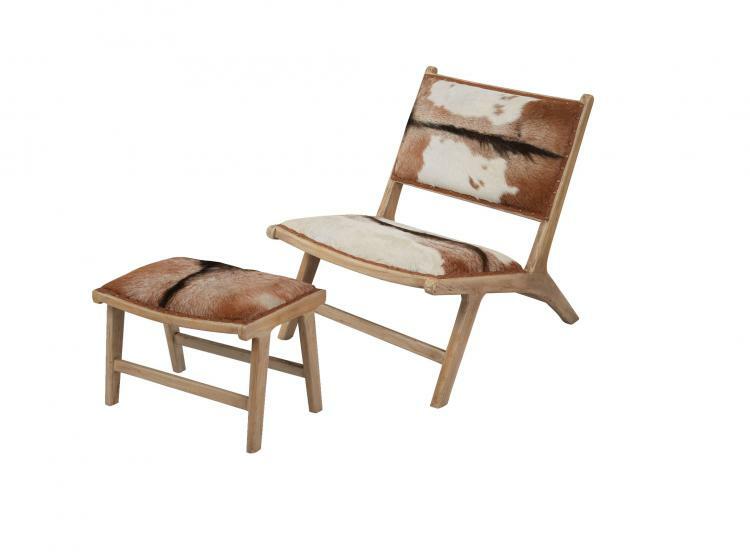 The Lazy Suzan goatskin lounger chair and ottoman set are hand crafted from teak wood and natural goat hide, and measures 26 inches long x 34 inches wide x 30 inches tall.